The room where the grapes for Granello are dried is called the “fruttaio,” a name likely derived from the odors one smells upon entering. The first dried grapes were Chardonnay and Sauvignon, on August 23. Bright straw yellow colour with amber reflections. 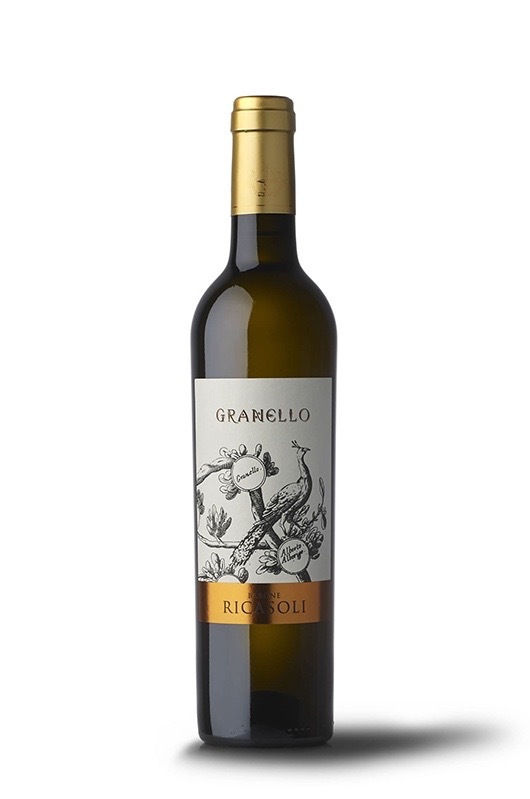 Intense bouquet with sweet fruity notes, mature peach and candied apricot, honey and delicate hints of roses. The taste is delicate with pleasant sensations of ripe and exotic fruits. Long, clean, velvety finish recalling marron glacé and cinnamon taste. It pairs well with fruit and custard cream desserts.